A gothic tale of the living dead, lost souls and redemption, The Apostle is a spooky stop-animation with a hint of a twisted Grimm’s fairy tale. Ramon, voiced by Galician Carlos Blanco, is a second generation thief who escapes from prison, driven by an insatiable thirst for hidden treasure that he hopes will be his way out of his old life. Posing as a pilgrim on the path to Santiago de Compostela, a strange old man leads Ramon awry, promising a good nights feed and a decent rest. Don Cesareo (Xose Manuel Olveira), the creepy village priest, complete with a larger-than-head nose and a Vampiric feel, screams evil and untrustworthy, but Ramon is unaware of the threat until it’s too late. The quiet little town turns out to harbour secrets more sinister than just stolen jewels. Meanwhile, and yes, it’s a typical ‘meanwhile’ scenario, the Archbishop of Santiago de Compostela is on the hunt for some high profile pilgrims who have mysteriously gone missing. Paul Naschy voices the impudent, corrupt archpriest, intent on working his way up to papacy in style and comfort, with a penchant for fine wine and good food. The characters are caricatures in a somewhat predictable plot, but the suspense, humour and craftily made sets are the redeeming features in the first stop-animation to come out of Spain. The not-so-subtle swings at the Catholic Church, almost entirely made through the Archbishop, are balanced out by heavy themes of redemption and salvation. Almost three years in the making, and partially financed through Crowdfunding, the dedication and detail put into director Fernando Cortizo’s debut feature film is easily recognised, with a Goya nomination and a steady run of screenings at film festivals across the globe. Despite a shaky plot and the occasional technical mishap, Cortizo has produced a stop-animation that’s a little too spooky for the little ones, but eerie and entertaining enough for an older crowd as well. Gabby Easter lives in Melbourne and writes for Time Out magazine. Well, I was right. They shoot the grubby faced man to pieces. Alas, he will never have that bath he so desired. I hang my head and make the sign of the cross, then remember I’m an atheist, then remember I forgot to hang out my washing, then remember that it’s alright because I asked Phil to do it earlier. As the SGA forces fire at the cabin, Ella rides in on her wagon, guns blazing. A bullet hits the wagon and she is forced to leap from it onto her horse. Good. It was a stupid vehicle anyway. 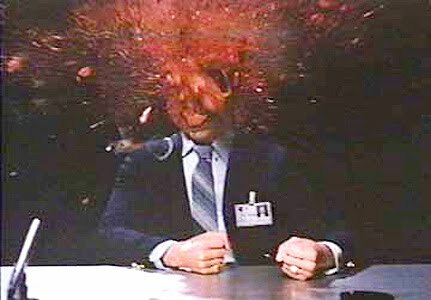 The sound effects of bullets ricocheting is very cartoon like. “Piew…sssh.” I think the sound department may have stolen the effect from the Warner Bros. animation sound library. Yosemite Sam isn’t going to be happy when he learns his copyright has been infringed. Word from event organiser, Malcolm Turner, is that MIAF is one of the very few major animation festivals to promote abstract animation, and I tip my hat to him. I have been lucky enough to witness the abstract session three years in a row and it never fails to amaze me. Walking into this session is tantalising because you never know what to expect. There are no rules or criteria to these films; they exist to be out of the ordinary, and those willing to have their mind expanded will thank themselves. 20 Hz (Ruth Jarman, Joe Gerhardt, 2011) – Hypnotising waves and patterns of static. Looks much more appealing than it sounds. One Second Per Day/ Une Seconde Par Jour (Richard Negre, 2011) – The challenge was set: 1 second of footage, 25 frames per second, for every day of the year. Entertaining from an audience point of view and intriguing from a wannabe-creative point of view in terms of what can be achieved in a set period of time, and how simple and complex one second of film can be. 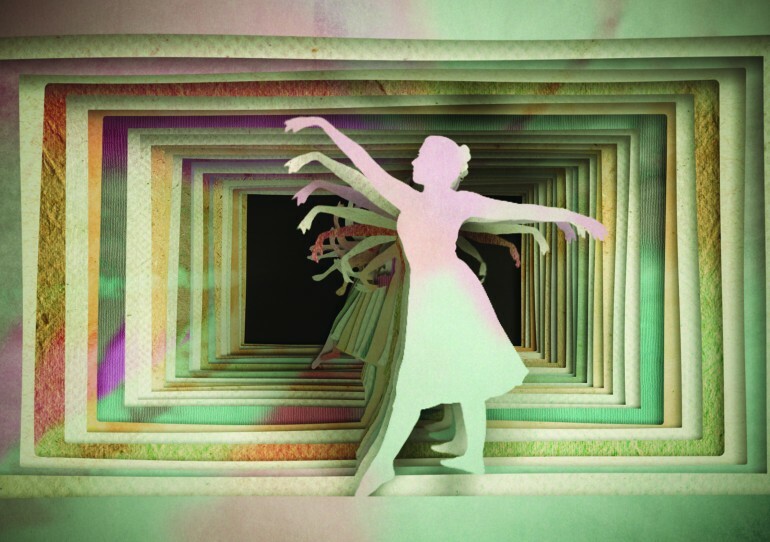 Strings (Benjamin Ducroz, 2011) – This Australian film has a brilliant flow of colourful vectors to fast-paced music. Miniature film with lasting impact. Sensology (Michael Gagne, 2010) – This is the kind of film I come to a festival hoping to see. 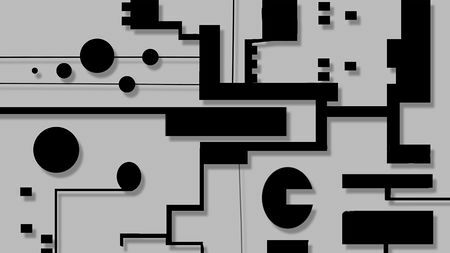 An animated representation of three avant-garde pieces of music. May not be the most original idea but the beauty and pacing of this film is utterly incredible. REMINDER: The Australian Showcase is Saturday the 23rd at 4.00pm. Tickets will most likely sell out so make sure you get your ticket secured. The first twelve assorted films in the running for Best of the Festival. Mostly consisting of European and Asian films, the first international program gave us viewers a good taste of what is to be expected from the films up for the grand prize. What is that expectation? Complete and utter randomness. 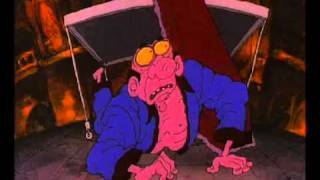 CGI, scratch, cel, cut-out, stop-motion; it was all there! 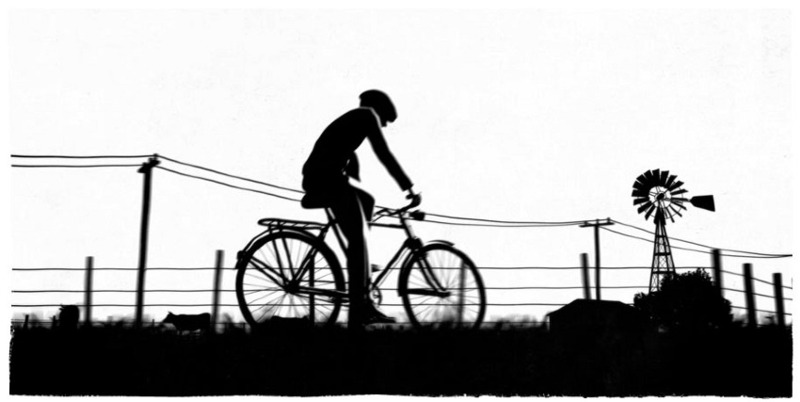 About Killing the Pig/ Dell’ammazare Il Maiale (Simone Massi, 2011) – Very dark charcoal-looking animation with little colour but plenty of style. 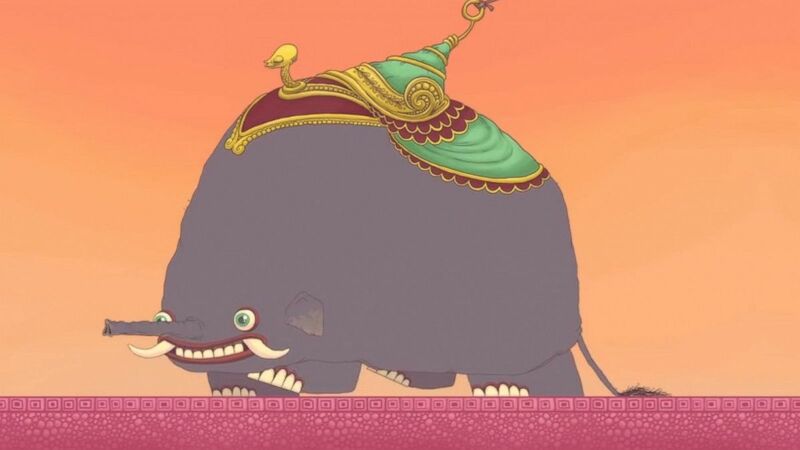 My… My (Lei Lei, 2011) Heavily inspired by video games, a man chases a moose-man through a glitch-ridden world. 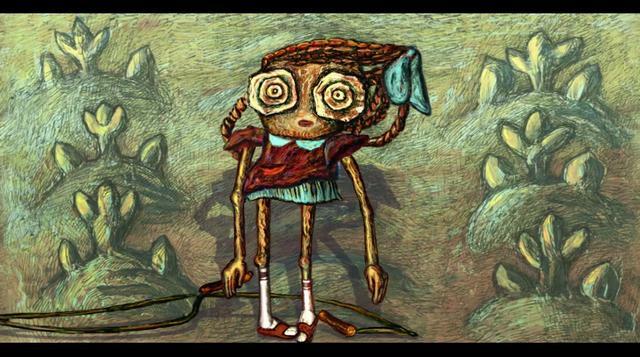 Auntie Nettle (Svetlana Zueva, 2011) Russian cut-out animation with almost an expressionist look about it. A haunting little film; like the nightmare of The Secret Garden, complete with piercing string music and grotesque visuals. Arguably the best film of the session. How to Eat Your Apple (Erick Oh, 2011) – Exactly as it sounds, but with a bizarre, humorous twist. Before this session I didn’t even know Belgian animation existed. I’m sure glad I gave it a go. The session consisted of a fine mixture of historic and contemporary Belgian animation. From this collection of films there seems to be a pattern or theme with Belgian animation – as cheerful as a film may seem, it will inevitably have a negative conclusion. Un Voyage Imprevu (Albert Fromenteau, 1944) – Proof that Disney set the blueprints of animation to the entire world, this film from the 40s resembles the forest setting and singing animals of the American animation powerhouse. The key difference is this film is a little crazier than Disney and didn’t have much of a story to go with it. Goldframe (Raoul Servais, 1969) – Hilarious tongue-in-cheek film about a filmmaker, Mr. Golframe, who must be the first to produce a film in 270mm. He attempts this by dancing off against his silhouette. To Speak Or Not To Speak (Raoul Servais, 1970) – What begins as a humorous piece of social commentary mohps into a straight-faced and blatantly political piece of propaganda. Compartments Or “I Am Not A Monster” (Hannah Letaif, 2011) – Totally insane animation that grotesquely exaggerates everyday tasks. Will be repeated at the Late Night Bizarre session. Last night I attended two equally amazing sessions, one focusing on a national cinema (Poland), and one focusing of a particular animation technique (CGI). Ten films made up the first of three sessions of the Polish showcase. 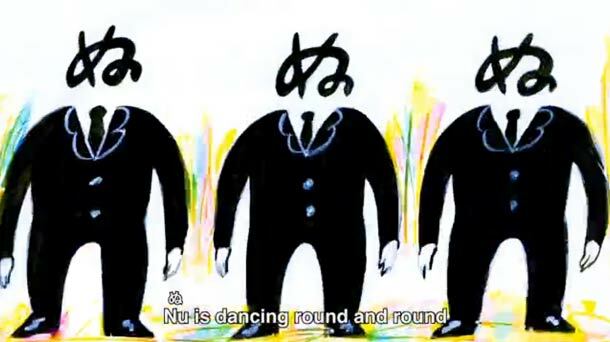 I was unfamiliar with polish animation before this session, but now I can happily call myself a fan. These films share a dark aesthetic quality though still managed to illustrate a variety of styles ranging from ink, to pencil, to paint, to CGI, to scratch, to stop-motion animation. 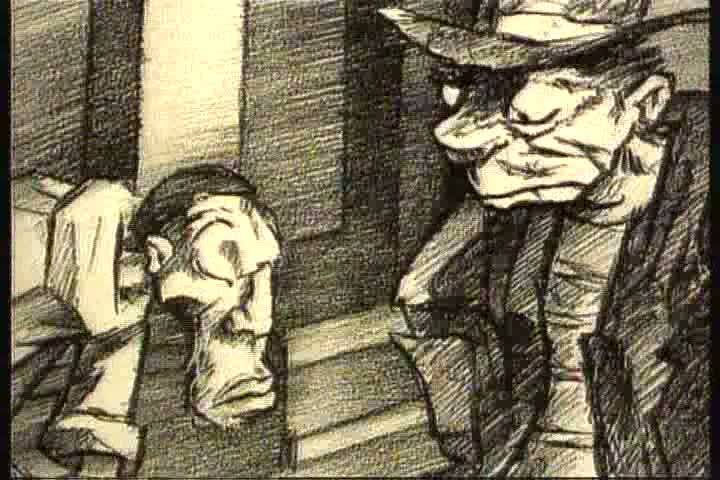 Only two films contained dialogue (which is most common in animated short films) forcing us to focus on the visuals. These films defy genre; they are simply meant to be enjoyed as the animated national cinema of Poland. Robert Proch’s Galeria (2010) wowed audiences with its calligraphic movement of ink and paint. 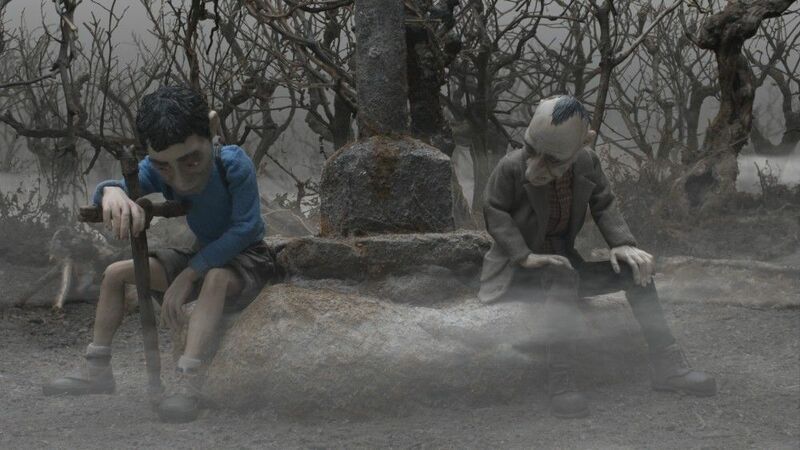 Danny Boy (Marek Skrobecki, 2010) is a darkly humorous stop-motion film about a city of headless citizens which made audiences laugh and cringe simultaneously while adding genuine dramatic emotion. A varied mesh of moods executed perfectly. The session concluded with the astounding CGI film, Paths of Hate (2010), about two pilots set to destroy each other. 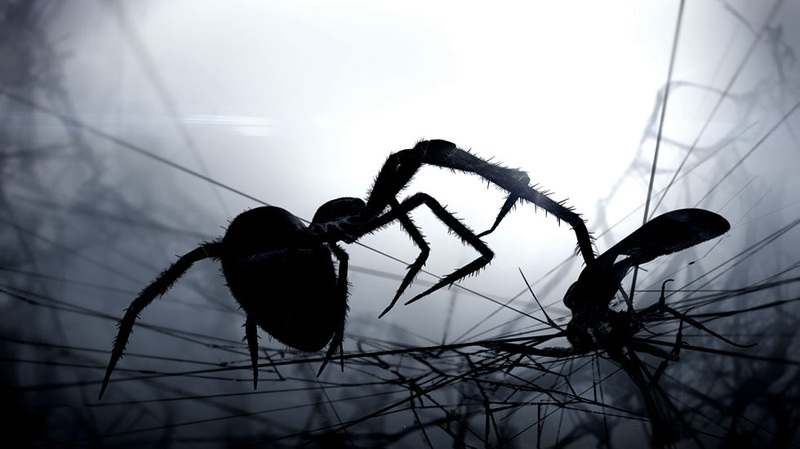 My top pick of this session is another film by Proch titled Wirus [Virus] (2009) which can fortunately be seen here. The next two Polish sessions are tonight at 6:15pm and Saturday night at 9pm. 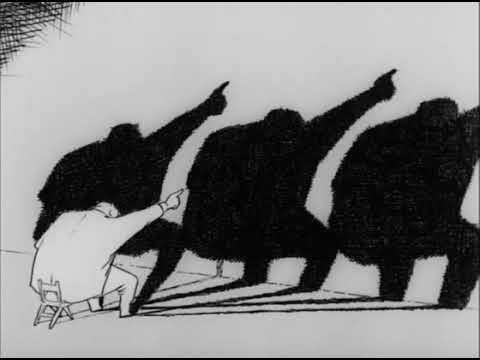 Animation History of Poland (Tomasz Baginski, 2009) is exactly what the title suggests, the history of Poland communicated through CGI animation. This was the highlight of the session. Loom (Ilja Brunck, Jan Bitzer, Csaba Letay, 2010) is an utterly amazing film about a moth being trapped and venomed by a spider. Simple premise, incredible execution. Mobile (Verena Fels, 2010) was definitely the film the audience had the most fun with. It consists of cute farmyard animals hanging from a mobile. All the lonely cow wants is a friend and damn she’s gonna get one, even if it means throwing the mobile out of control. White Drawing (2009) by Kurt Adams is an atmospheric post-apocalyptic head trip. You get sucked into the film and cannot get out. Even if it doesn’t make sense it is visually appealing to say the least. Some of the films from this session will be screened at other sessions, so keep an eye out for them. 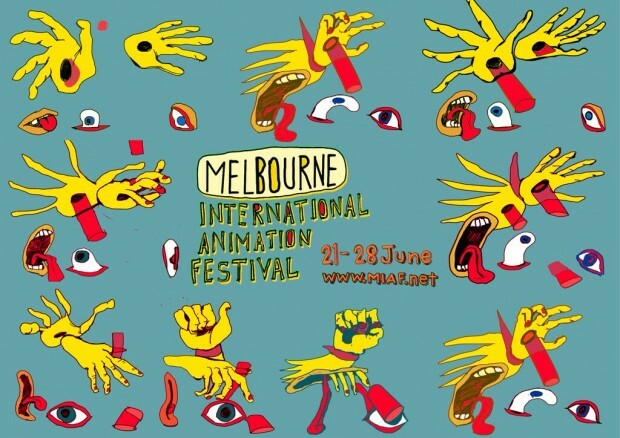 Melbourne International Animation Festival (MIAF) – Be There! 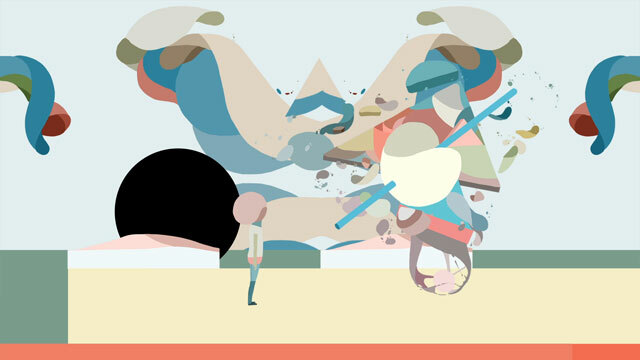 From June 19-26 the Melbourne International Animation Festival (MIAF) will be running at ACMI in Federation Square. Over 400 films will be screened at this ever growing animation event. Come and witness animation from all over the world and experience an array of visual and aural styles you never thought possible. 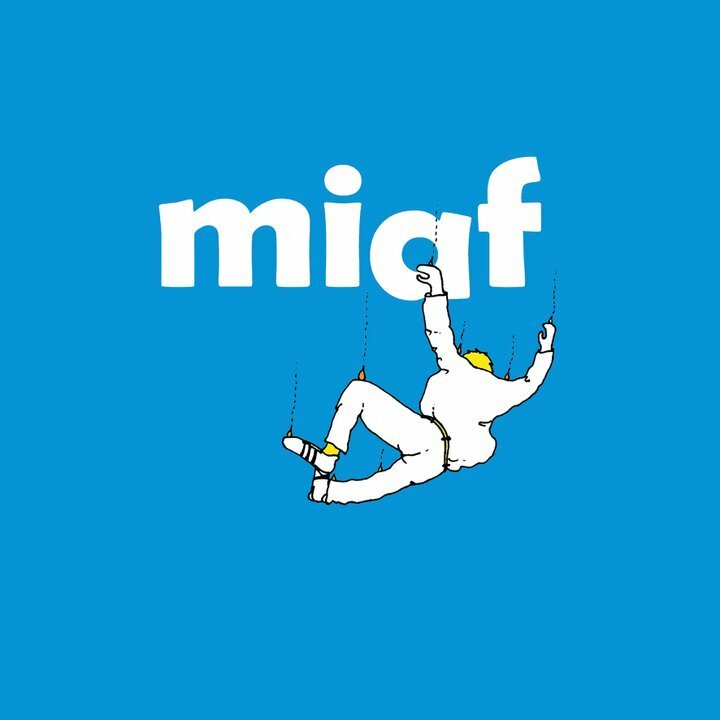 MIAF is my number 1 pick of all the film festivals available to us Victorians. It is easily accessible, tickets are very reasonable (especially the season pass), you are able to meet the filmmakers, and it focuses purely on hand-made cinema: animation, where the possibilities are limitless. There is so much variety that everyone will be able to appreciate certain aspects of it. Last night I was fortunate enough to attend the Gala Opening screening where we were given a taste of what to expect from the collection of themed sessions. These films ranged from the themed nation – Poland, other international films, some classic UPA films, films from the UK’s Royal College of the Arts, some cut-out films as a part of the themed style, and films from our own back door. If I could judge the rest of this metaphoric book by the cover I witnessed last night, then I’d be saying this is gonna be one damn good book. With an eclectic assortment of screenings to attend, the one I am most anticipating is the Australia Showcase which will be screened at 4:15pm on Saturday the 25th. Last year’s Australian Showcase blew me away. I was truly astounded at this nation’s ability to create magnificent animation. If you have ever doubted Australia’s artistic abilities, prepare to have your faith regained because animation is where so much of Australia’s talent has been hiding, and I believe it is damn well time that more people realised this. At the end of the Australian session there is a meet & greet where the audience is introduced to the filmmakers. I’ve already got my spot booked! If you get the chance at all this week you absolutely must make an effort to see at least one screening of this festival. It is one of the only festivals dedicated to animation in the country. You have my word that it will be a memorable experience. 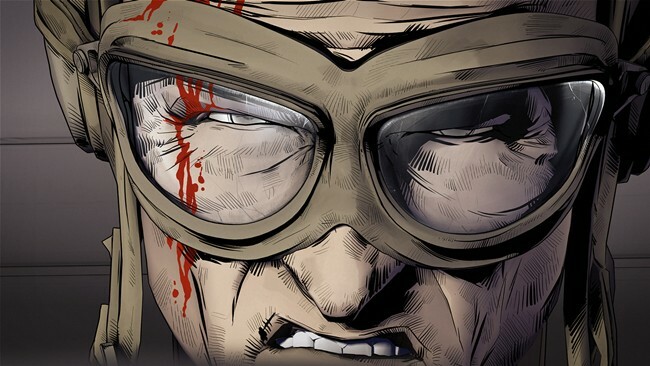 These Australian animators need your support and this is the way to show it.